Normally, when I connect to my internet connection, the notification icon on the system tray would show or indicate that it is connected at 100mbps. However, just last night, the change started. Instead of 100mbps, when I connect, it mrely shows that it is connected at 10mbps. Will it affect my DSL connection speed and/or realibility? It means your network card transmission/reception is only at 10Mbps instead of 100Mbps. Must be a driver fluke. It doesn't matter though, what is your DSL connection? 5Mbps? Your PC is still waiting on the internet. There's probably something wrong with the wiring connection or the LAN card itself. A friend of mine used to have a LAN card that keeps on blinking (connected at 10mbps, then connection at 100mbps, almost every few seconds.... sometimes it also says "this connection has limited connectivity" and sometimes connected/disconnected". 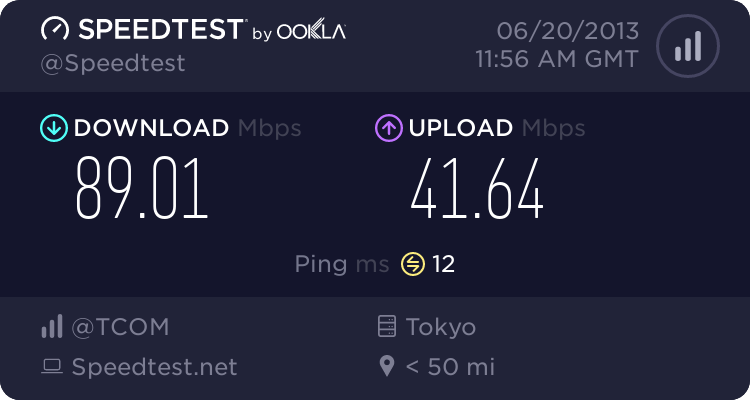 If you can reliably connect at 10mbps, that's more than enough for DSL (less than about 1mbps lang naman sa atin usually yung speed ng DSL, most of us have 384/512kbps DSL connections -- these are below than 1mbps, far below the 10mbps). For networks, if you're transferring files, 10mbps and 100mbps there might be noticeable difference though. another thing, in the driver details of the LAN card, usually there's an option in the Advanced to select which speed to choose (usually the default is Auto-Negotiation, which means it will select 10 or 100 automatically depending on what it's connected to -- say your router/switch is only 10mbps, LAN card will connect at 10mbps...) I'm not sure if it would be okay to just force it to always connect at 100mbps. Replug the RJ45 jack, might be a loose conection, happened to a me a few times. Or put the lan card in another PCI slot. Doc, it worked. Thanks for the suggestion. Thanks also to ya all.